DotNetNuke Community Edition is a leading free open-source content management system for ASP.NET websites. With DotNetNuke, you can quickly and effectively deploy dynamic web applications with almost no technical knowledge, however if you are an ASP.NET developer, you can customize it in the way you want to fulfill your specific needs. Whether you need to deploy a simple website or a feature-rich dynamic application, DotNetNuke cater your needs in the way you want. Unlike legacy web applications, you don’t need services of a web developer in order to make changes in your content and locations of different modules. You can easily achieve this task on-the-fly by logging into the administration control panel. Since DotNetNuke is open-source, you can enhance and extend the functionality of it if you are familiar with ASP.NET programming. In addition to the existing modules in DotNetNuke, you can develop custom modules over it or use from a number of pre-developed modules by different third party vendors to extend the functionality as per your business needs. DotNetNuke is the world’s most widely adopted framework for building web applications on Microsoft Windows platform. 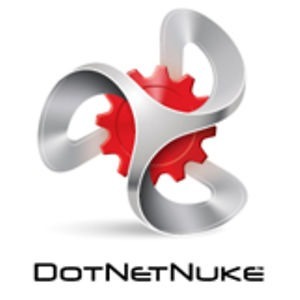 DotNetNuke powers over 500,000 portals, web applications and public web sites. It has a large open-source community to support the development of the system. Furthermore, you can find number of help and support resources and books that help you find solutions to your problems while you work.